The groom job is including all stable duties, feeding the horses, general stable works, lunging, taking the horses out to the paddocks or into the walker, getting them ready for riding and clean them after riding, getting them ready for competitions (washing, plating, etc.) preparing the horsebox, medical care. We would appreciate a team minded person who is interested in a long-time collaboration. We offer a good salary, an appartment with kitchen and bathroom, employment agreement, social insurance etc. 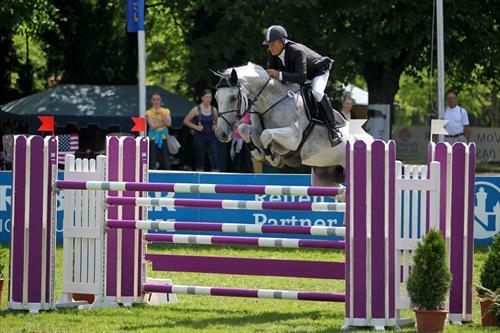 We are an equestrian centre based 40 km south of Munich, Germany. We breed show jumpers, school our young horses and livery horses.